Learning how to install Joomla is something that takes time initially, but after that first install, the process becomes much more simply. There is an automated Joomla Installation feature which can be used on the control panel, or Joomla can be installed manually. Web hosting is an essential part of the install and without it, the install will not be able to be completed. 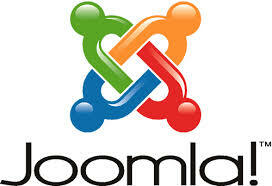 Before starting any process, Joomla needs to be downloaded. Joomla.org has all the latest features and the latest installation package, including all the instructions that are need. Next, the individual needs to create a database using their web hosting and Joomla installation package, MySQL database needs to be installed. There is no need to rush as speeding up is something that will come with time. The interface will have an easy to follow set of instructions which include setting a username and password for the upload. Most people want the Joomla package to be on their whole website and therefore, they will need to upload the Joomla database to the home directory rather than anywhere else. This will ensure that the whole site runs on Joomla, rather than just part of it. The installation is complete, but remember to keep all passwords and usernames secure to avoid losing the work that has been completed so far. Without these login,s the user will not be able to access the website correctly. At this stage, web and graphic designers can start adding titles, Meta tags and descriptions which will help with the on site SEO of the website.